Golfers have awarded Golf Club d'Hulencourt with the title of Best Golf Club Overall of Belgium in 2017, with an average rating of 8,49. The Golfers' Choice rankings are based on 350,000 reviews from golfers across Europe on Leadingcourses.com. Over 250,000 golfers visit Leadingcourses.com each month. Based on their rankings, Golf Club d'Hulencourt - with an average rating of 8,49 - has been voted Best Golf Club Overall in Belgium in 2017 in the Golfers' Choice Rankings. The rankings for best golf club are compiled based on numerous aspects influencing the quality of the golf club, such as the golf course itself, the overall impression of the club, maintenance, facilities such as practice facilities, clubhouse and the perceived value for money. 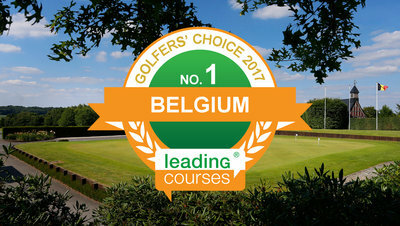 Since the introduction of the Golfers' Choice Awards in Belgium in 2014, Golf & Country Club Limburg had won the title of Best Golf Club in Belgium three years in a row, but in 2017 there is a new number one. 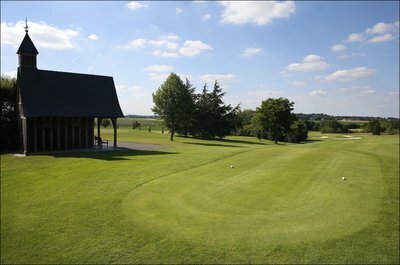 Golf Club d'Hulencourt in Vieux-Genappe near Brussels tops the rankings. Built on historic grounds that date back to 930 AD, Golf Club d'Hulencourt prides itself on maintaining the highest level of golfing tradition, fulfilling the vision of the club’s President and Owner, Mr Patrick Solvay. Hulencourt boasts two courses, ‘Le Vallon’ and ‘Le Verger’. Le Vallon is the Championship course and is widely acclaimed as being one of the best conditioned courses in Belgium. Designed by French architect Jean-Manuel Rossi, this challenging inland links course has established itself as a tough but fair test for golfers of all levels. Reputed for its excellent year round conditioning, with summer greens always in play, ‘Le Vallon’ is a real joy to play. 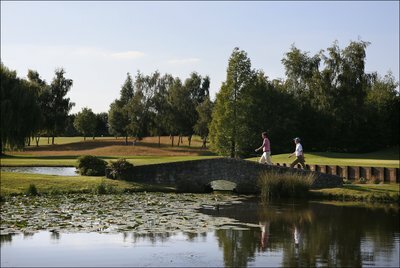 ‘Le Verger’ is a 9 hole course that suits beginners and younger players. Whilst only a 9 hole course, the layout is technically testing and as with ‘Le Vallon’, it is always in good condition. As a private members club, open to visitors, Hulencourt welcomes international guests, families and golfers of all levels. Golf Château de la Tournette moved from the fourth place in 2016, to a runner-up spot this year. With an 8,43 rating the 45 hole club near Brussels is a well respected club in Belgium. Both Championship courses of la Tournette are in the top-10 of best Golf Courses of Belgium. Royal Bercuit Golf Club completes the top-3. Bercuit is the only Belgian golf course designed by famous architect Robert Trent Jones Sr. When golfers only rate the course itself - so without looking at other elements, such as the appreciation for the clubhouse and practice facilities - golfers choose "La Marache", the championship course of Royal Waterloo Golf Club as their favorite. With a rating of 8,83, golfers are unanimous that this is Belgium's finest course. Number two in the rankings is the "American Course" of Golf Château de la Tournette, which came from 7th place. Although their rating of 8,67 is quite a difference with La Marache, golfers are very positive about this course of Golf Château de la Tournette. 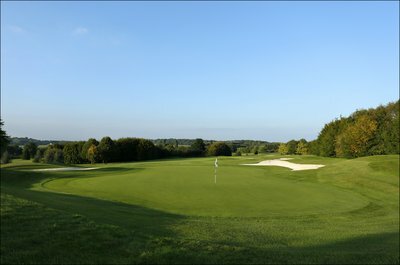 The "Le Vallon" course of the number one Club of Belgium, Golf Club d'Hulencourt completes the podium with a third place. A rating of a golf club or golf course is closely related to the price of the paid green fee. Where do you get real value for money? This is shown in the 'Price-Quality' ranking. This ranking is based solely on the rating of golfers for the price-quality ratio of a golf club. Golfers rank Golf & Hôtel de Falnuée as their number one club - with an 8,20 - when it comes to value for money. Since the introduction of this ranking in 2014, the golf club in Mazy - between Charleroi and Namur - has never been lower in the ranking than 2nd place. Golfers say that Golf & Hôtel de Falnuée has: 'Very reasonable green fees and you get a varying course with friendly staff.' The green fee at Golf & Hôtel de Falnuée is € 50 during week days and € 70 in weekends. Golfclub Beveren (8,17) and Golf Club Enghien (8,09) are numbers 2 and 3. For the second year in a row, Golfforum Lummen was rated Most Hospitable Golf Club in Belgium. This friendly 9-hole course near the race track of Zolder scores an 8,39 and stays ahead of Golf de Rigenée (8,22) and Golf & Hôtel de Falnuée (8,18). Every year numerous rankings circulate, announcing the best golf courses in a specific country. The Leadingcourses.com Golfers' Choice rankings stand out because they are based on reviews written by actual golfers. These reviews can be consulted online at any time. This makes these rankings the most up-to-date, transparent and independent in the golf industry. When a golf club has gathered sufficient reviews they are eligible to qualify for the Golfers' Choice Rankings. To make sure that ratings stay relevant, reviews are devalued over time. In 2017, Leadingcourses.com rankings have been published in 12 countries, Belgium included.